It’s frustrating when kids don’t pay attention, isn’t it? Or, when they forget something you have literally just told them. Or, when they just can’t see the importance of what you’re saying. We, for some reason just can’t pin down what’s wrong with them! Then, we shrug it off and think, ‘They’re just kids’. Actually, there’s a set of mental skills we use to cope with all these problems, even as adults. They’re called Executive Function. Executive Function comprises of three areas of our thought process: Working Memory, Cognitive Flexibility, and Inhibitory Control. Working Memory is a measure of what we are able to remember and apply effectively. Our ability to not only recall a mathematical formula but also apply it in practice is governed by the strength of our Working Memory. Cognitive Flexibility refers to our ability to think from multiple different aspects. That is, the ability to adapt to new situations. Finally, Inhibitory Control tests our focus and control. Those who are accomplished in this area are able to ignore distractions and control the impact of their emotions. 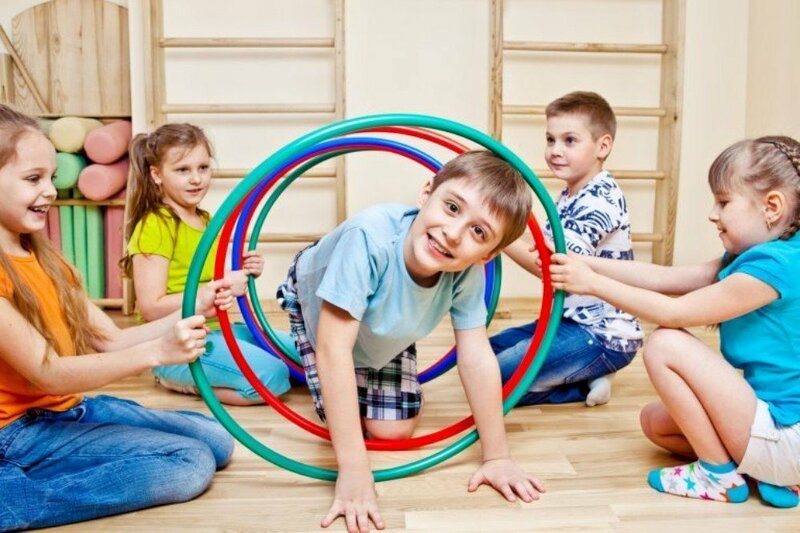 These three elements combined to provide the base skills for dealing with life’s problems which, in the case of children, might be as follows: paying attention, organization, emotional control, setting goals, completing tasks and understanding perspectives. But, who cares? They learn sooner or later, right? Yes, it’s true. Kids will, with life’s pressures, naturally improve these skills. But, it’s not just about checking if your child is maturing at the proper rate. 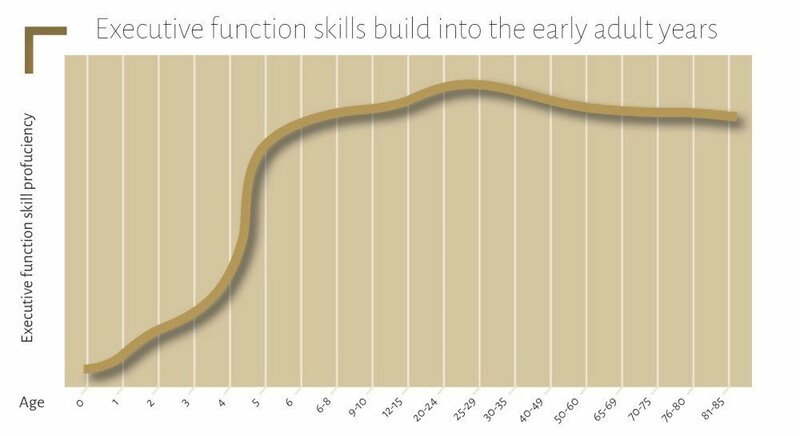 Moreover, its about realizing the effects of having a strong Executive Function at a younger age. Imagine for a second, if your kids came home bright-eyed and full of energy, ready to tell you every last detail of what they learned in school. That’s strong Working Memory. Imagine for a second, that your kids were able to switch from playing to set the table without losing track of time. That’s Cognitive Flexibility. Imagine, your child doesn’t break down in the middle of the store when you tell them you’re not buying them that toy. Better yet, imagine if they responded with “That’s true” when you explain that “You have plenty of toys at home and we can’t spend money so easily.” That’s Inhibitory Control. Some of these benefits are about being a better student and achieving academically. Others are all about shaping a well-rounded human being. Our children being able to pay attention will make them more aware of the world. Their ability to understand perspectives and control their emotions will fuel good-decisions. Their organization and goal-focussed mentality will drive them to succeed and prioritize the important things in life. As our children progress onto public examination rooms, college campuses and the workplace, Executive Function becomes more and more useful. Juggling the study of multiple subjects and having the focus needed to succeed rest solely on this generation’s Executive Function. Can they deal with busy schedules? Can they prioritize their time? Can they handle the pressure of hard work and the unknown? Are they able to understand and empathize with others at work? These are the questions they will be asking themselves. Employers will look for these qualities too. Grades are not the only important thing. The ability to work in teams and work professionally in new environments is a major factor for any employer. More than anything though, a key virtue of this skill set is the benefit of reflection. When an individual is able to look at oneself and identify areas for improvement, they unlock the gateway to their true potential. After all, we all hope that our students, sons, and daughters will make the best of themselves. So, how do educators and parents set our kids up? What can we do to ensure they are best placed for school, college and work? There is no formulaic method. In fact, the ability to develop Executive Function lies at the heart of many things that we consider hobbies or extracurricular activities. It is found in the classroom and at home. The bottom line is that it is down to us to identify opportunities and properly execute on them. Bilingual people display increased concentration on their assignments over their monolingual counterparts. They are more skillful at focusing on relevant information. Bilinguals are skilled at switching between two systems in writing and structure—this makes them good multitaskers. Bilingual people have sharper cognitive skills and keep their brain alert and active even when only one language is used. Grey matter responsible for processing language, storing memory and dictating attention spans. Bilingual individuals have denser grey matter compared to their monolingual counterparts. Learning a foreign language involves memorizing rules and vocabulary. This mental exercise improves overall memory, making bilinguals better at remembering lists and sequences. Bilingual speakers tend to make more reasonable decisions. Bilinguals are more certain of their choices after thinking them over in their second language. Learning a second language focuses on grammar and sentence structure, making bilingual speakers more aware of language overall. Learning a foreign language making Bilingual speakers more effective communicators, editors, and writers.